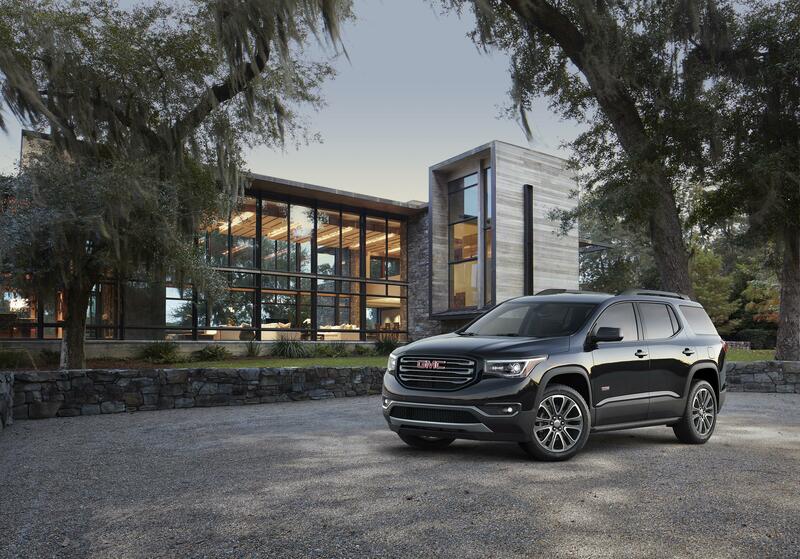 With a dramatic design, cutting-edge tech, and loads of functionality, there’s plenty of reasons to be interested in the 2019 GMC Acadia SLT. The three-row crossover has premium features that will keep you engaged, comfortable, and happy with your purchase for years to come. At Essig Motors we have a good selection of these crossovers for you to check out in person. You have places to go and things to do. The last thing you need is a vehicle that slows you down. That kind of high-quality performance comes with the GMC Acadia SLT. GMC offers two versions of the GMC Acadia SLT, called 1 and 2. The SLT-1 uses a 2.5-liter four-cylinder engine provides maximum efficiency with start-stop tech that eliminates idling, plus spark ignition direct injection and variable valve timing. Peak output is impressive at 193 horsepower and 188 lb.-ft. of torque. With the SLT-2, a hard-hitting 3.6-liter V-6 is standard, putting a mighty 310 horsepower and 271 lb.-ft. of torque at your disposal. Variable valve timing, spark ignition direct injection, a variable displacement oil pump, and Active Fuel Management. To deal with the challenges of winter driving, plus rain storms and other surprises at other times of the year, GMC offers all-wheel drive. By constantly monitoring conditions, the system sends power to the wheels with the most traction, keeping you in control. Life gets busy, so you need a vehicle that can keep up. Even better is one that will help you get ahead. 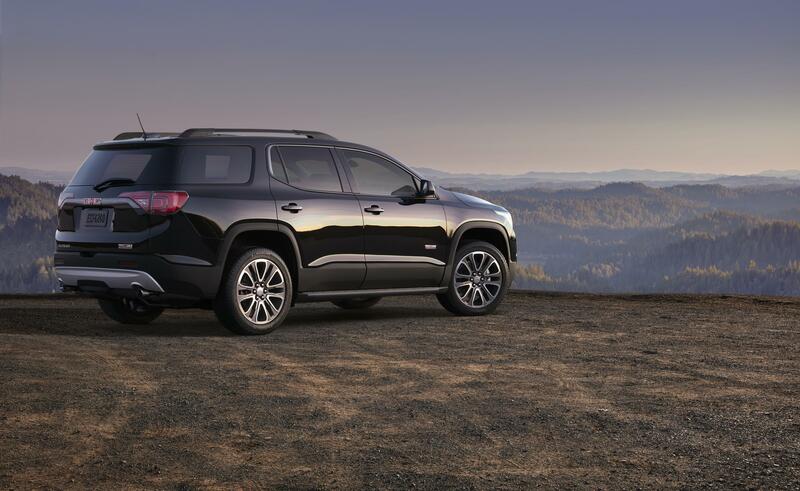 The GMC Acadia SLT does both, thanks to advanced technologies. Once you have it, you’ll wonder how you got by without the crossover. Many of those advanced systems address your needs to stay safe while traveling. The best way to do that is prevent accidents from happening. One is the optional following distance indicator. It provides the following time between the GMC Acadia SLT and the vehicle in front, indicating if you’re following too closely for the speed. Another system is front and rear park assist. When you’re traveling below 5 mph, such as maneuvering into a parking spot, sensors alert you to presence of objects you might not otherwise see. Other technologies keep you connected, informed, and even entertained. The 4G LTE WiFi allows several mobile devices to access high-speed data, even in places where they might not otherwise have a connection. A 7-inch or 8-inch GMC infotainment system touchscreen presents the graphical menus clearly, so you have access to info and controls easily. One of the big advantages with a crossover is the utility you get versus other options. The GMC Acadia SLT fully takes advantage of that with designs throughout that address your daily needs, as well as life’s surprises. With available seating for up to 8, plus a generous cargo space, the GMC Acadia SLT is perfect for everyday errands or weekend fun. You can add all-weather cargo mats to keep the floors clean, even after everyone’s been playing outside. Add the collapsible cargo area organizer to keep things from sliding around in the back when needed. Visit us at Essig Motors today to see the 2019 GMC Acadia SLT and try out its features in person.